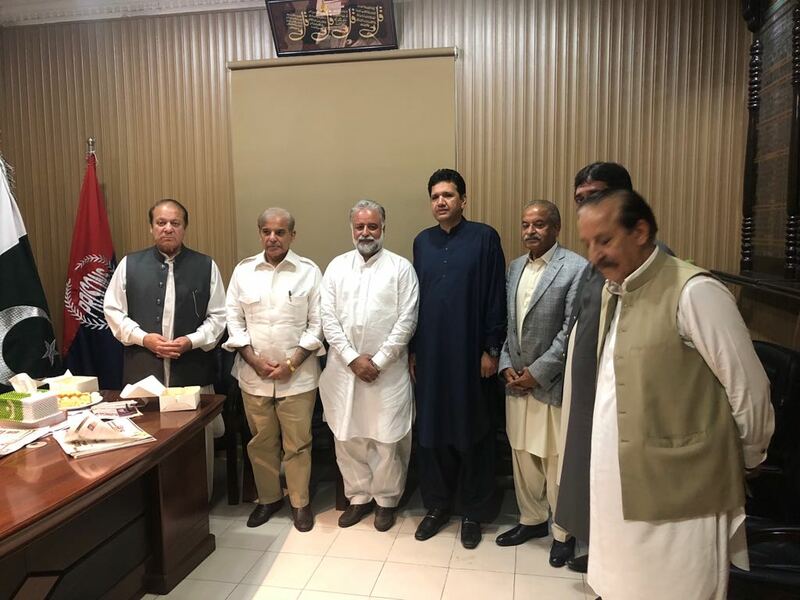 ISLAMABAD: Pakistan Muslim League-Nawaz (PML-N) supreme leader Mian Nawaz Sharif, his daughter Maryam Nawaz and son-in-law Captain (retired) Safdar were released from Adiala prison in pursuance of an Islamabad High Court order here on Wednesday, ARY News reported. A huge number of party supporters and leaders reached Rawalpindi from where the central leadership of their party was released after legal formalities. The former PM, his daughter and son-in-law were accorded a similar welcome when they arrived in Lahore. Party workers showered rose-petals on their caravan from airport to their residence Jati Umra, distributed sweets and raised slogans in their favour. Earlier today, the Islamabad High Court suspended the prison sentences handed to former prime minister Nawaz Sharif, his daughter Maryam Nawaz and son-in-law Mohammad Safdar in the Avenfield corruption reference. An IHC division bench, while hearing the appeals by the Sharifs and Capt Safdar against the July 6 accountability court verdict. The judges accepted the convicts’ petitions against the Avenfield verdict, ruling that the sentences would remain suspended until the final judgement on their appeals.